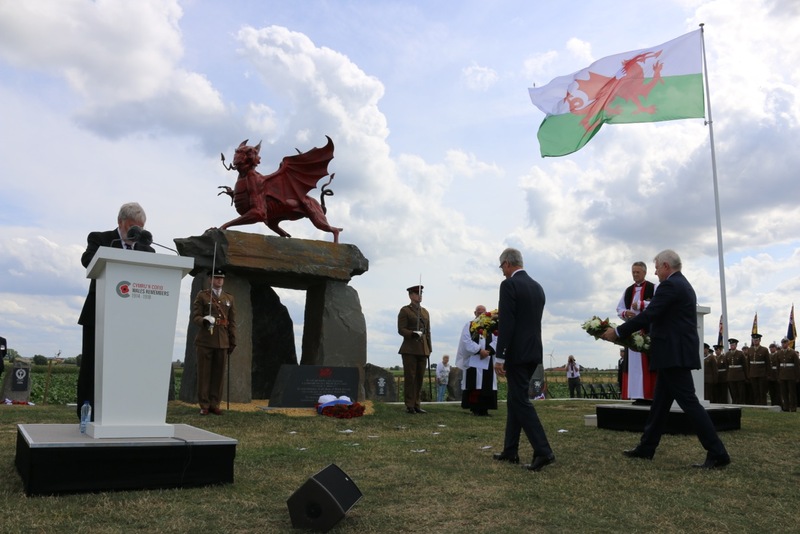 On 31 July 2017, Cymru’n Cofio Wales Remembers 1914 – 1918 hosted a Welsh National Service of Remembrance in Langemark, Belgium, in honour of the 3,000 Welsh soldiers who died or were injured at the Battle of Passchendaele one hundred years ago. 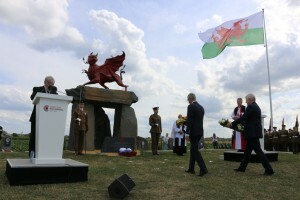 The First Minister of Wales was honoured to welcome over 1000 guests from Wales, Europe and further afield, including HRH The Prince of Wales, the Minister-President of Flanders, Geert Bourgeois, and the Belgian Defence Minister Steven Vandeput. We would like to thank everyone who travelled to Flanders to attend and who contributed towards a thoughtful service in memory of the Welsh men who fought. We are truly grateful that everyone could join us on this important occasion. Our thanks go to those who helped in the organisation of the service and all those who took part in making it such a success. Finally, we would like to thank the local community in Langemark for their continuing and unstinting support.